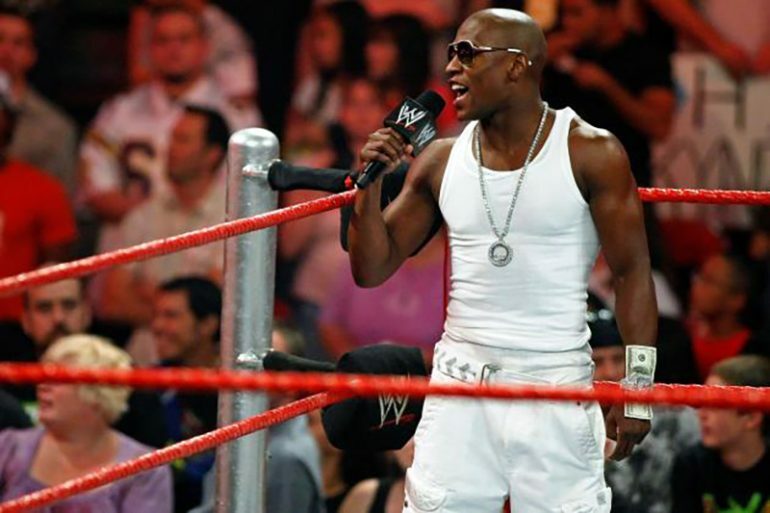 If nothing else, Floyd Mayweather Jr. is doing his very best Vince McMahon impression. Despite his August 26 boxing match with UFC lightweight champion Conor McGregor being an epic mismatch of grotesque proportions, Mayweather is selling this fight like a master huckster. During his interview with ESPN’s Stephen A. Smith that the website posted on Tuesday, Mayweather did everything in his power to create an atmosphere where boxing’s undefeated pound-for-pound great can be defeated by a pugilism novice who has never laced up a pair of 10-ounce gloves. It was fascinating to watch, really. The brash and supremely confident Mayweather attempted to cast doubt over his own boxing superiority by both building up his opponent while putting his own ability into question. Yes, there is an 11-year difference. But Canelo Alvarez was 13 years younger when he met Mayweather in 2013. Not only that, but he was bigger and stronger. Of course, Canelo is also a better boxer and had far more experience competing on a big stage in a boxing ring than McGregor did. And Canelo couldn’t even touch Mayweather in that bout. But Mayweather isn’t really trying to sell “us” a narrative. Instead, he’s trying to sell the casual boxing fan on the possibility that he could lose to his Irish opponent. And he’s doing all of this with a straight face. It’s like Vince McMahon selling pro wrestling fans on the idea that the 5-foot-6, 175-pound Rey Mysterio could beat the 7-feet and over 400-pound Big Show in a wrestling match. But at least WWE fans are conditioned to the bizarre world of wrestling where these things can conceivably happen between the ropes. Boxing fans are not. For the most part, we can sniff out a mismatch right away and will complain about it despite what the overmatched opponent’s professional record might be blown up to be. The thing about McGregor is that he doesn’t have a boxing record. He has his MMA resume, but that’s like LeBron James bringing his NBA championship rings to a Cleveland Browns game and getting the nod to go under center against the New England Patriots. None of this will stop Mayweather from selling McGregor as a credible opponent, however. Surely, he knows how ridiculous this fight is. But how can you blame a man for coming out of retirement to make possibly a couple hundred million dollars for 36 minutes of work against a guy who has never boxed. It’s like Clayton Kershaw being asked to pitch three innings against the Golden State Warriors. The threat is minimal yet the payout is extraordinary. For those of us who respect the sweet science, this is abysmal. But in the era of social media and allowing narratives to be created by non-combat sports fans, it’s a dream come true. Mayweather won’t go as far to say that he’ll lose, but he’s not going to treat his opponent like he did Oscar De La Hoya or Shane Mosley. No point in burying a man who has a fraction of a chance to beat him. Instead, Mayweather will set out to give you all the reasons why you shouldn’t count out McGregor. Mayweather continued by stating that the sport is taking a toll on his body and he’s no longer able to knock out opponents. But he’s going to try. And that part is certainly uncharacteristic of the 49-0 fighter who is known to take very little risks in the ring. But who is he fooling? Mayweather is going to fight like he always fights. And if McGregor makes a crucial mistake, he’ll capitalize. He may not be actively looking for the knockout, but he’s definitely going to take it if McGregor gives him the opportunity. Whether readers of this website purchase the pay per view or not isn’t that big of a deal. Simply put: It ain’t for you. This is spectacle over substance. This is for the Skip Baylesses and Shannon Sharpes of the world who casually watch combat sports. This is for the people who only watch the Super Bowl at a friend’s house party but have no clue who the quarterback for either team is. This is for everyone who has bought a Mayweather fight but is surprised when the fight isn’t exciting. Whether we like it or not, Mayweather knows what he’s doing. And McMahon is somewhere smiling.